What this OVA is about is Shikis past. 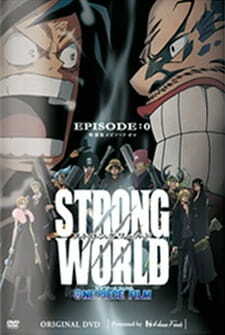 You first get a recap of the movie Strong Worlds ending. The OVA does not delve to deeply but rather it shows brief moments. What it covers are confrontations between Roger and Shiki. Shiki's capture and escape. Glimpses of nearly most of the characters big or small whether it be one of luffy's crew or a side character and ended with the start of the movie that follows. This episode to me felt like it showed the starting point of what is to be and what has become. I fell like I may have said too much so i'll leave it at that.